Kicking off proceedings on Friday 10th will be a screening of Born a Rebel, a short documentary charting the history of women in protest across the North of England since the start of women’s suffrage 100 years ago. The screening will be followed by a panel discussion and accompanied by a fascinating and varied selection of short films and archive footage, featuring Delia Derbyshire, Roxy Music, and a riot of awesome women activists. 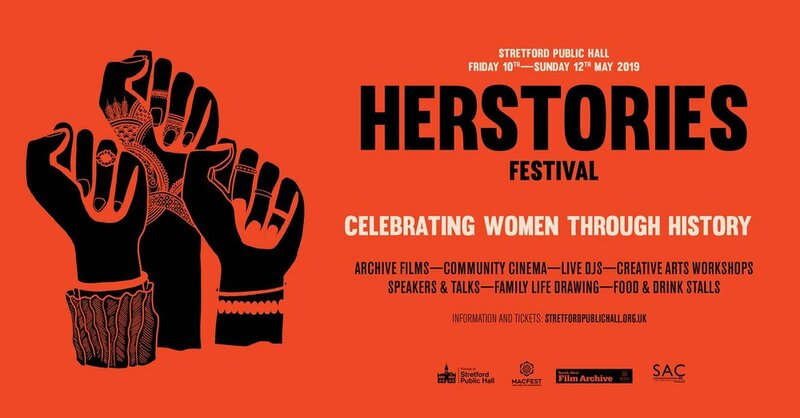 In the cinema room,a specially-curated selection of local history films will be presented, showing Stretford over the years, as well as a chance to see the documentary ‘Invisible Women’, telling the story of Manchester’s LBGTQ pioneers Angela Cooper and Luchia Fitzgerald. On Saturday night, expect a special cinema screening of Made in Dagenham, accompanied by rare archive footage of Manchester women at work – from workers leaving Rylands Mills in 1902, to a fascinating glimpse into Stretford’s Job Centre in the 1970s. As if all this wasn’t enough, John Rylands Library have kindly lent the festival some of their recent ‘The Women who shaped Manchester’ exhibition, which will be on display all weekend, throughout the Hall.